Important discoveries at the Medici Fortress of Arezzo. The works of renovation on this historic building have brought to light a Roman domus dating from around the early decades of the first century AD. 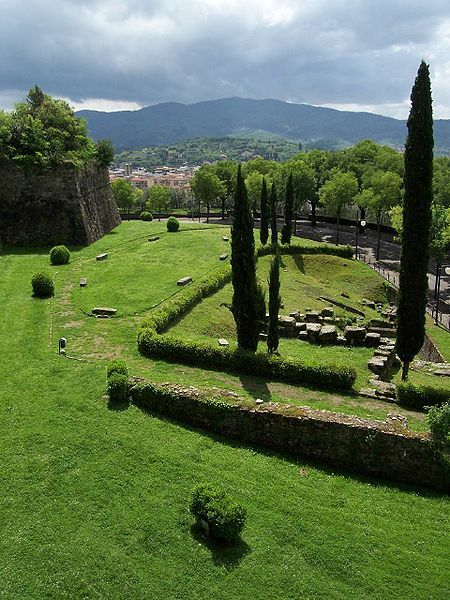 The domus was a house occupied by the upper classes and the wealthy freedmen during the Republican and Imperial eras. The one found under the fortress has so far revealed three rooms, two of which partially explored, preserve the remains of painted walls and intact floors. 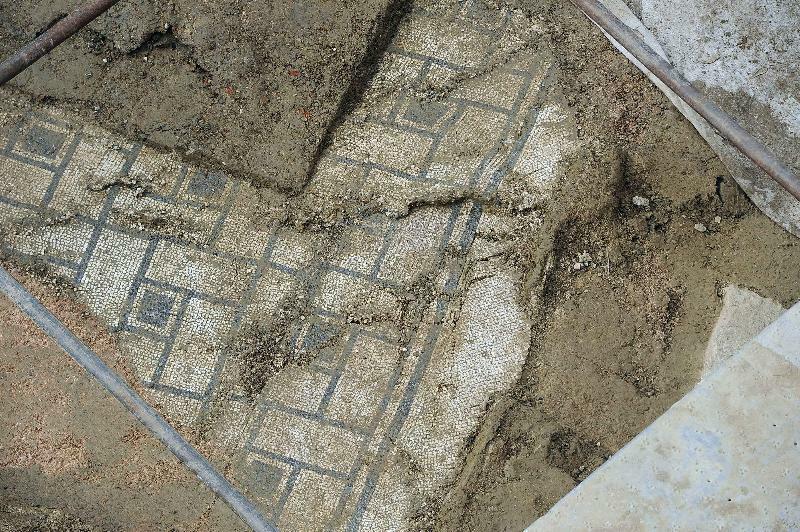 The first room has revealed the presence of a floor of exquisite mosaics with honeycomb decorations consisting of hexagons outlined with black tiles on a patterned background with white tiles, remarkably preserved under the layers of destruction and neglect that have mercifully protected them until now. A second room shows the presence of a mosaic carpet with a mat-like decoration with rectangles outlined in black tiles on the background of white tiles arranged around a square in the centre patterned in black. This floor has various cracks and gaps, one of which is particularly large and reveals an earthenware substitution which attests an ancient restoration. Both floors have been attributed to the Augustan-Julio Claudian eras (late I BC – first decades of I AD). The walls of these rooms, preserved up to a height of half a meter, have a thick plaster wall painting coloured with red, yellow, green and brown on a white background. Obviously it will be some time before visitors can admire this new discovery. In the meanwhile those planning a visit to Arezzo can admire many other sights such as the main doors, the various palaces and churches, the Archaeological Museum, the Roman amphitheatre and museum, the house of Petrarch and the unmissable Piazza Grande which houses the Saracen Joust and the monthly Antiques Fair. 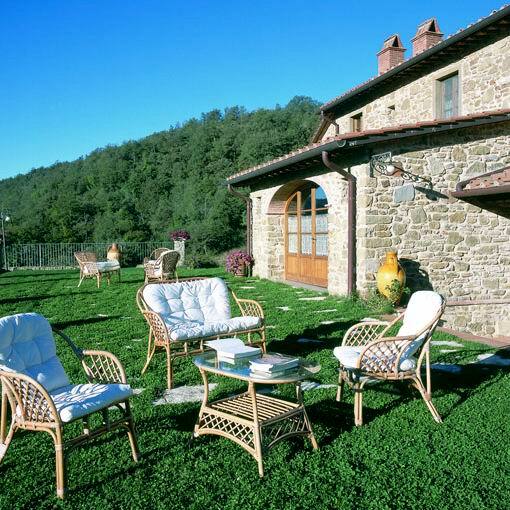 For accommodations, take a look here at one of our lovely holiday villas with swimming-pool just outside Arezzo. Questa voce è stata pubblicata in Accommodations in Tuscany, Culture and accommodations in Tuscany, Culture in Tuscany, Villas in Tuscany e contrassegnata con Arezzo, Medici fortress, Roman discoveries, Roman domus. Contrassegna il permalink.